The term for any boiler that uses a pump to move all the heat from the boiler to every part of the system is "Fully Pumped". As a rule, one pump is used to circulate the water through the valves which divert the flow to the relevant part of the system. 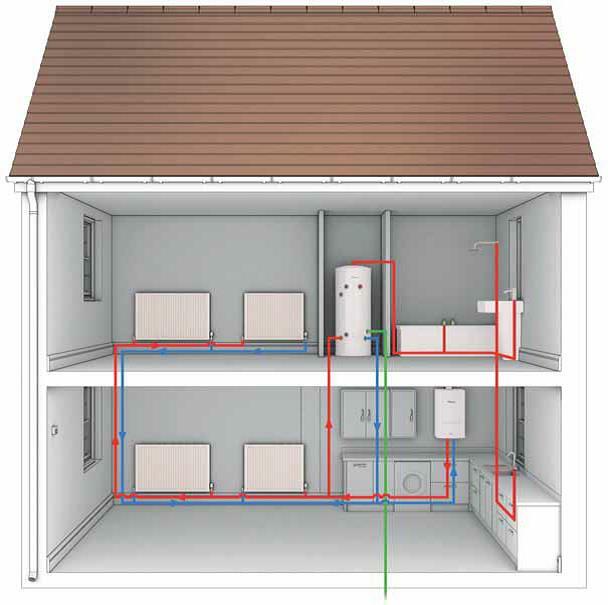 A fully pumped system, in conjunction the appropriate peripheral controls, can provide the user with a lot of control over how the heat is distributed, as well as at what time and temperature the heat is supplied. With all fully pumped systems that incorporate a remote hot water cylinder, you can have an electric Immersion Heater as a backup for the hot water in case of a fault occurring in the central heating system.